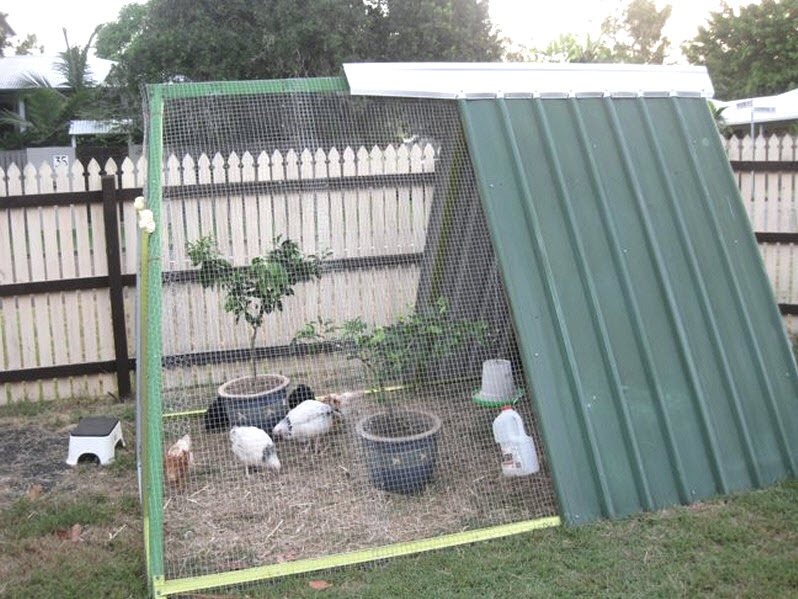 Turn a kid’s swing set into a chicken coop! Remove the swings and any other jungle gym toys from the swing set frame. Attach lengths of thin steel around the base of the swing set. Cover one side of the swing set with iron sheeting, then attach a piece of gutter over the covered area. Assemble more pieces of thin steel into a rectangle to make a door on the other end of the coop, attach the door frame with hinges, and install a latch. Cover the remainder of the swing set and interior of the door frame with chicken wire, then furnish the inside of the coop with nest boxes, plants and other items for your chickens.